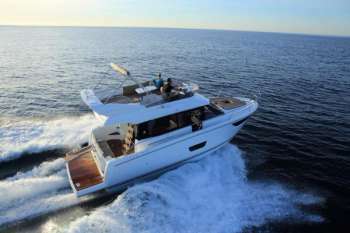 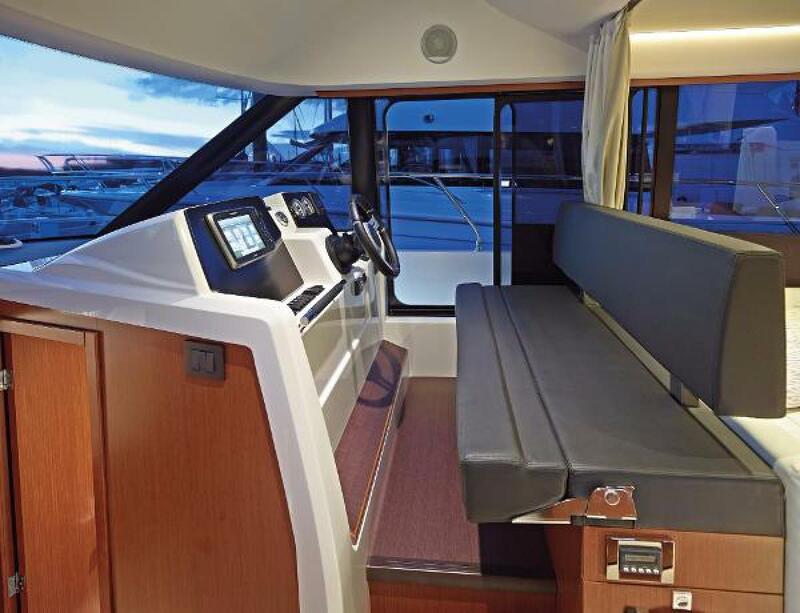 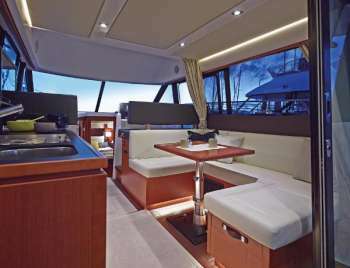 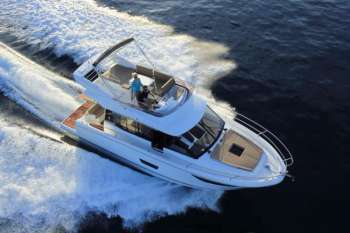 The Velasco 37 Flybridge is the newest member of the Jeanneau Velasco fleet. While a bit more compact than Velasco 43, the new Velasco 37 is just as elegant with every detail designed to increase window area, for a bright living space with magnificent 360° views. 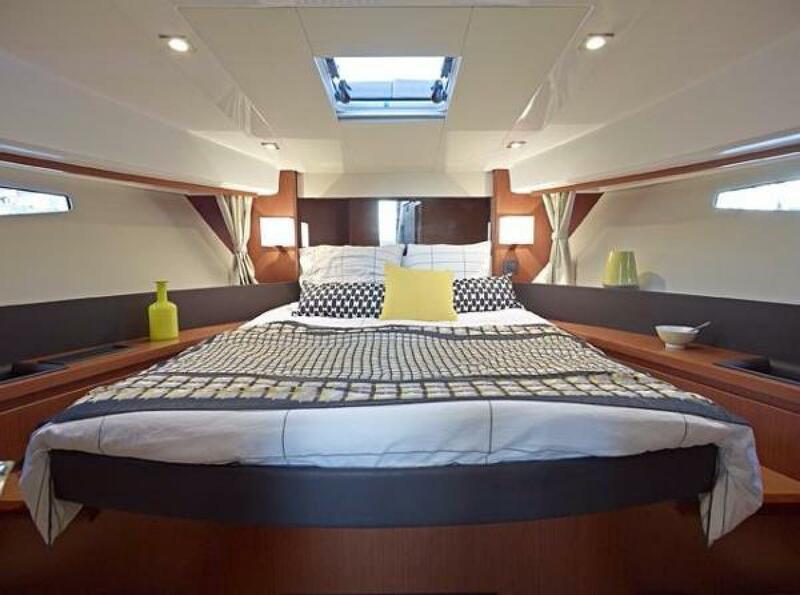 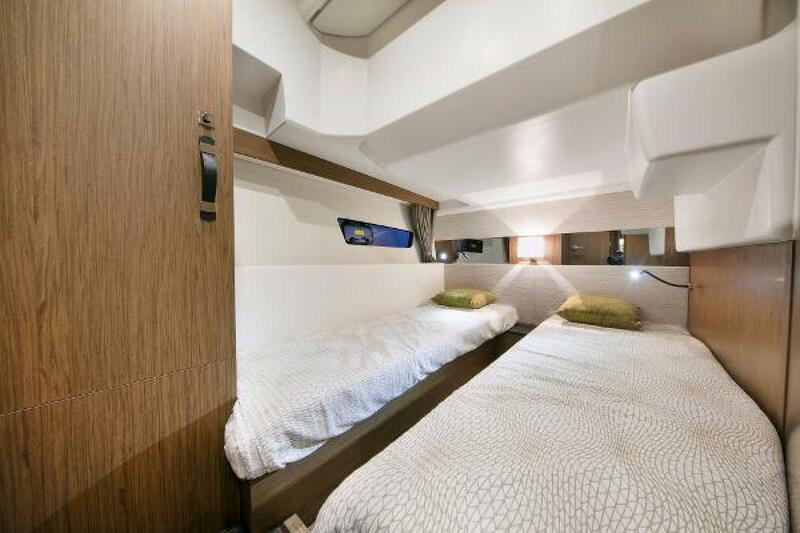 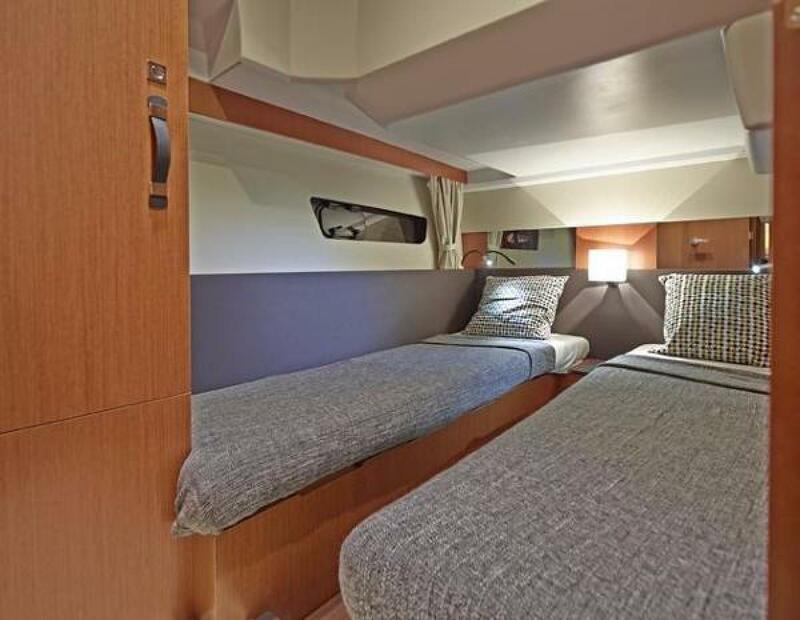 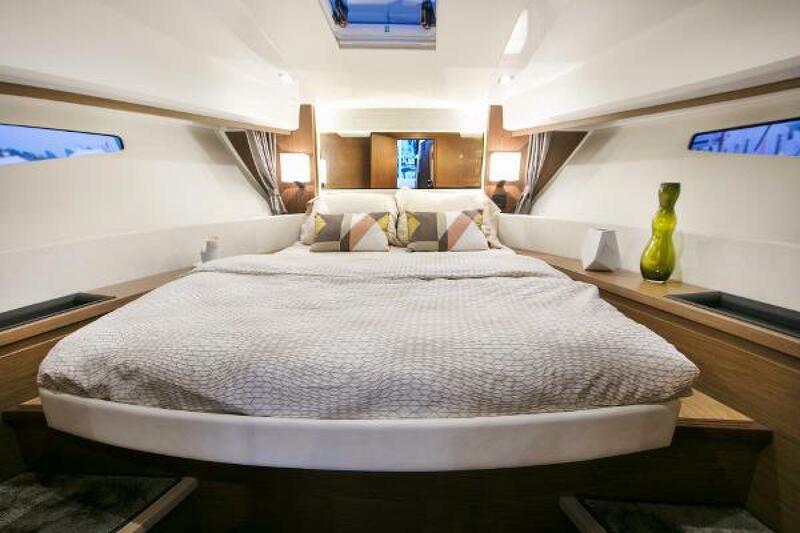 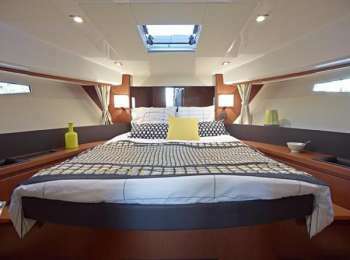 Down below, the Velasco 37 has a very spacious owner's cabin and an attractively proportioned double cabin. 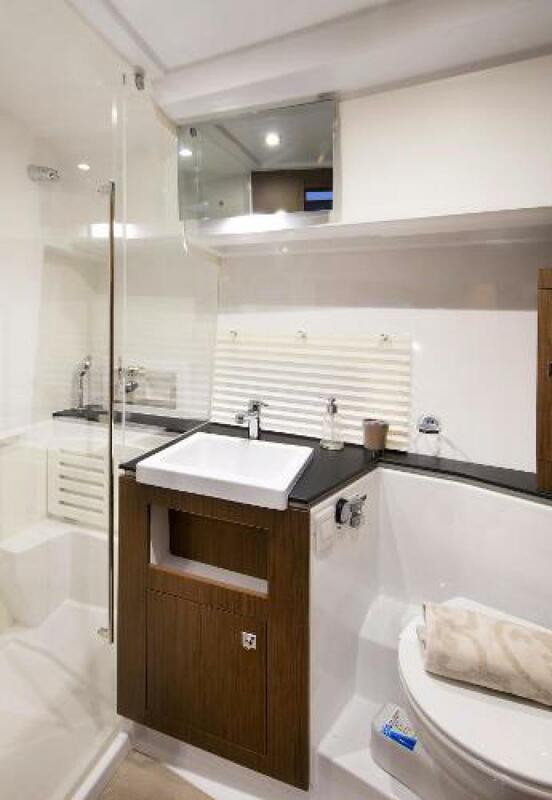 The head compartment includes a separate shower stall (WC outside the shower). 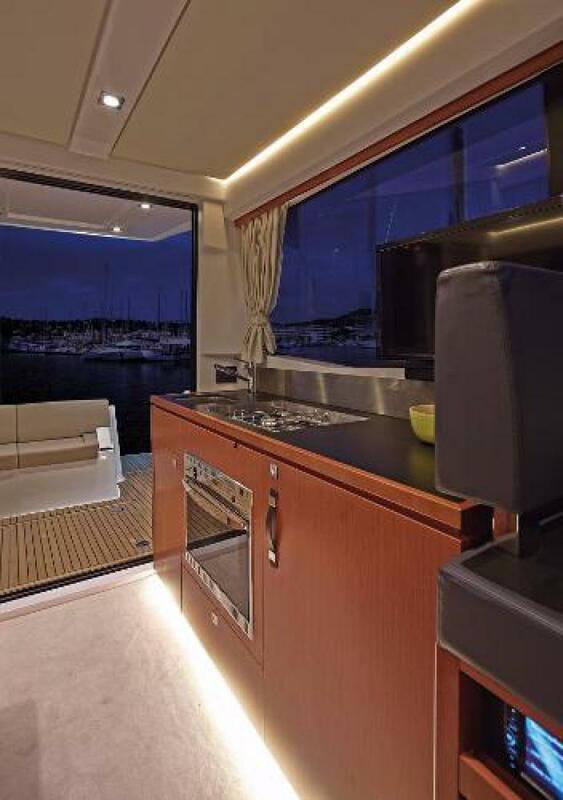 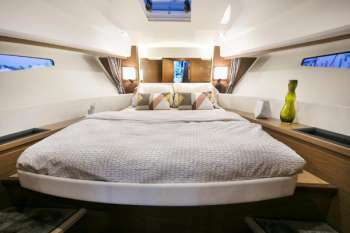 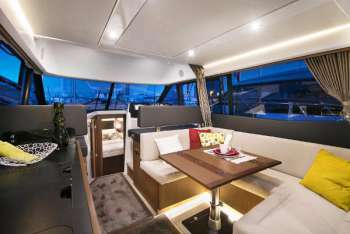 She features all the hallmarks of a quality Jeanneau interior. Knowledgeable boaters will appreciate the twin Volvo Penta diesel engines that are safe, quiet and efficient. 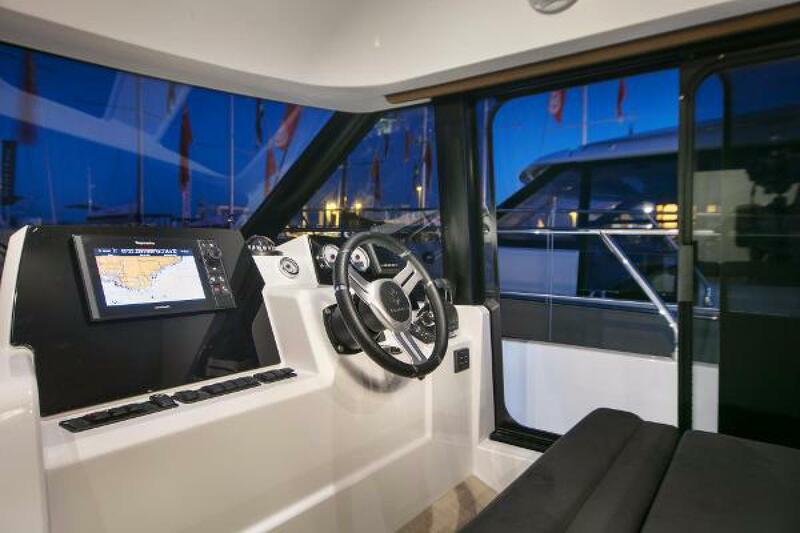 Equipped with both bow and stern thrusters the Velasco 37 features straight shafts for easy handling and minimal maintenance and upkeep. 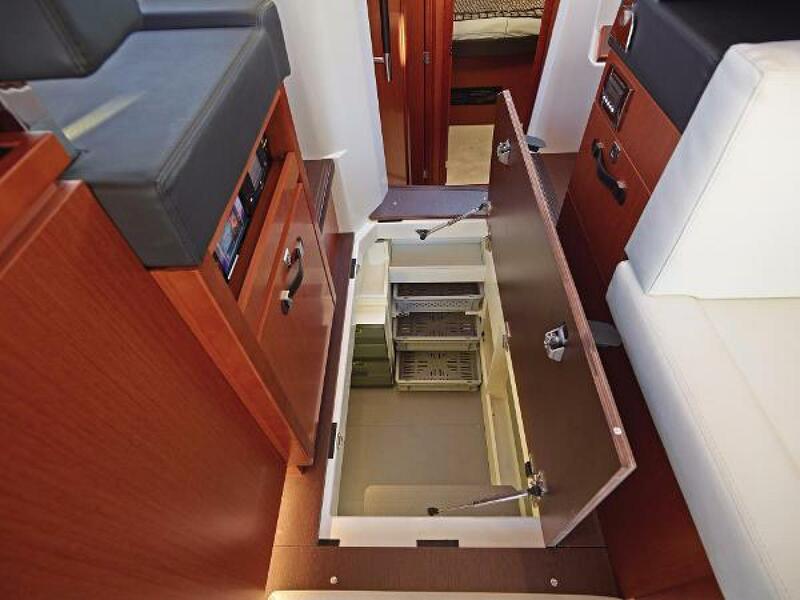 Big Enough to Perform ...Small Enough to Care! The above calculator is only intended to be an informational tool. 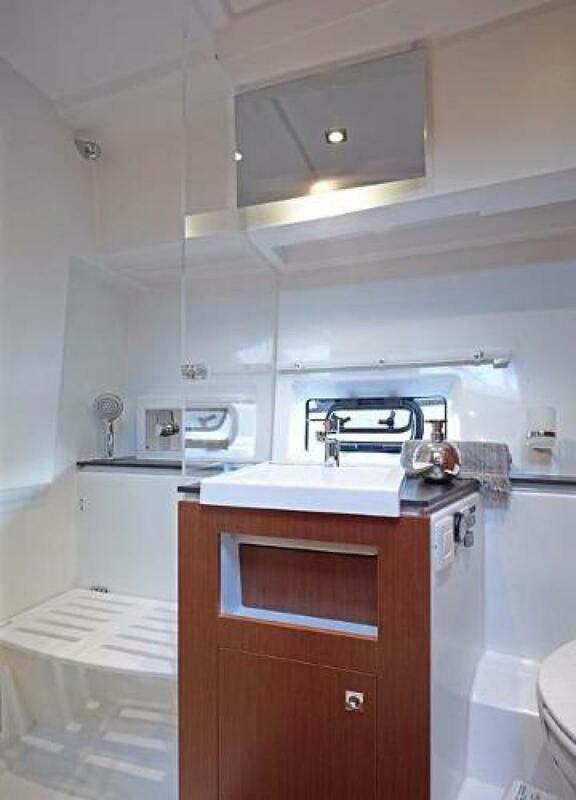 We cannot guarantee the figure for your individual circumstances. Please contact us for more information.